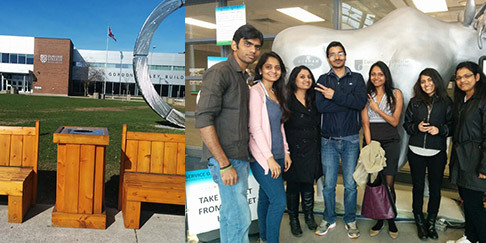 Where to study Canada Never Say Goodbye! 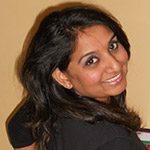 Neha Shah is from India, and studying at Durham College. She's enjoying Canada and shares her experience on her blog. While preparing for the final term, suddenly a thought gained momentum! This is it! My final semester. Soon we all will part ways and choose our destined paths. 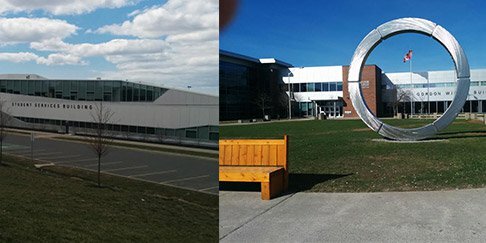 These 8 months of Durham College have been a delight! Walking down memory lane, there are so many things I do not want to say goodbye to! Durham College campus has so many wonderful memories attached. The campus has so much to offer to its students. The Market Place, the main student cafeteria, has been our most popular hangout. Though it’s difficult to find yourself a spot at first. But once you do, it’s difficult to move. All stories, gossips, lecture notes and of course food is shared and relished. The college IT Computer Commons is one of the most crowded areas too. Printing notes, viewing powerpoint slides and making assignments, I’m going to miss it all. It’s surreal that we used to reach college as early as 7 am to be in class for a lecture. I will sure miss running around to catch the early morning bus. Our ever-motivating programme coordinator kept us sailing. Attending lectures has been just too much fun. Assignments and exams kept us on our toes, but we learnt much more. I made friends forever during these months! I have gained much more than just knowledge. All in all, when I decided to move to Canada, I didn’t know so many beautiful memories and experiences were awaiting me! As unpredictable as life is, these few months are now an indispensable part of me!